The Certificate in Structural Engineering Program offers courses on a wide range of structural engineering topics. Credit: Take a course with the goal of obtaining the Certificate in Structural Engineering. Audit: Take a course to expand your knowledge, without the requirement to be evaluated. Each student must pass 12 courses; at least six of these must be from the list of core courses. The balance of the course may be from either the list of core courses or elective courses. The passing mark in each course is 68%. Given that the purpose of the program is to help develop professional structural engineers, we encourage students to achieve at least a 75% mark. Auditing a course requires regular class attendance. Audit status will not be granted where this requirement is not met. Auditing students are not required to (but are welcome to) take examinations. This is one of two courses intended to provide students with practical and effective means of analyzing a wide range of structural forms. This course will develop the student's ability to solve common structural analysis problems using strength of materials and approximate methods. The focus is on simple hand techniques that will provide the student with the ability to perform analyses for preliminary and conceptual design and to verify the results of direct stiffness and finite element models. Beams on elastic foundations; frame analysis by moment distribution method; analysis of braced frames; shear and flexural deformations of walls and diaphragms; modeling building cores; lateral stability of columns and beams; strength and stiffness requirements of bracing; cables and tension structures; flexible piles and footings; shear lag; eccentric loads on welds, bolt and nail groups. This course will develop the student’s ability to solve common structural analysis problems using commercial frame stiffness and finite element software. The focus is on building efficient and effective computer models that are truly representative of a structure’s behavior under loading. Access to a standard desktop computer is required. Students will receive version 10L of S-Frame® software (limited capacity educational version) by S-Frame Software Inc. as part of the course materials. Frame analysis concepts; introduction to the finite element method; frame structures; walls and diaphragms; roofs, floors and slabs; beams on elastic foundation; foundations and soil-structure interaction; special material property considerations. This course is designed to help the student improve their experience in structural engineering. Issues addressed in the course will help familiarize the student with common challenges in the design office. Various typical design problems will be dealt with in class and may become the focus of homework or of exams. Together in class and as homework projects students will develop some systemized approaches for such tasks as column design, beam design, slab and slab band design, etc. Presenters will offer guidance and comments from their experience in consulting practice aimed at helping students understand the world of consulting and their career progression. Students need to be familiar with building structures, design procedures and consulting office environments to get the most benefit from the class. Access to 2-dimensional structural analysis and spreadsheet programs is required. Column load takeoff and design; field issues affecting design; slab and slab band systems; interface shear; deflection compatibility concerns; vibration and sound transmission in structures; drawbacks and problems using finite element and 3-dimensional design programs; detailing rebar in concrete structures; load paths; lateral load issues; specialty engineering responsibilities; over-conservatism in design; significant figures; dead load eccentricity; etc. This course covers fundamental concepts of earthquake engineering and will provide the student with a background necessary for understanding and performing seismic analyses and design of building structures covered in other courses of this program. Causes and effects of earthquakes, how earthquake forces are developed and resisted; seismic response of simple structures and the concept of response spectrum; seismicity of Canada, earthquake hazard, background of uniform hazard design spectra; design philosophy (ductility, seismic vs. wind effects); fundamentals of dynamics for multi-degree-of-freedom systems; NBCC seismic provisions – base shear formula; seismic force distribution; torsional effects; soil effects on seismic response; irregular structures; parts of buildings (nonstructural elements, pipelines); diaphragms and their effect on seismic response, modern technologies for controlling the seismic response of structures. This course covers advanced concepts of earthquake engineering and will provide the student with additional knowledge to perform seismic analyses and design of building structures covered in other courses of this program. Seismic Hazard Analysis Concepts (Deterministic and Probabilistic), Basic Modeling of Structures for Seismic Analysis, Nonlinear Static Pushover Analysis, Nonlinear Dynamic Response History Analysis, and Soil-Structure Interaction. For each topic to be discussed, the theory behind the concept will be introduced and explained first, and then illustrative practically-oriented examples will be presented and discussed. Structural concepts arise in business and commercial development, architecture, process design, mine development, contracting, and many other specialties. Conceptual structural design for this course means the design of concepts within the realm of structural engineering, i.e. after architectural objectives are set and those constraints that are dictated by others are set. The course objective is to develop skills in the initial concept design phase of structural design for the overall structural concept, the choice of materials, and the concepts for details in a structure. Case studies will be used as examples to illustrate. Approximate structural analysis fundamentals; form and function, common proportions, concept evaluation, innovative concepts (Beaver Bridge erection, Prince George); effective building concepts (developing concepts in wood and steel structures); high rise buildings (Shangri-La); institutional buildings (schools), conceptual concrete building design; seismic upgrade (Coquitlam Arena); learning from structural failures (Save-On Foods, Ironworkers Memorial Second Narrows Bridge and others). The 2012 British Columbia Building Code recognizes dynamic response spectrum as the default analysis technique for seismic design of buildings; to carry out an effective seismic design structural engineers should have a solid understanding of the fundamentals of dynamic analysis. This course aims to give each participant a grasp of practical issues involved in analyzing/designing structures for dynamic vibration and earthquake loads. The application of Mathcad and commercial structural analysis programs in solving dynamic problems is demonstrated. Dynamic response of elastic structures (fundamental concepts; single-degree-of-freedom systems, multi-degree-of-freedom systems), harmonic and impact dynamic loads, machine vibration, hands-on response spectrum analysis, inelastic dynamic response of structures, modal analysis (fundamental periods of building, effect of higher modes), dynamic response of short and long period buildings, response of structures to earthquake ground motion: fundamentals of time-history response analysis, design specifications for buildings and other structures using dynamic analysis, development of design spectra using BCBC 2012 dynamic analysis requirements (coupled models), effect of structural configuration, podium structures, dynamic analysis of irregular structures. This course is intended to provide the students with an appreciation of the issues involved in design and construction of foundations of structures. Students will be required to undertake geotechnical design of shallow and deep foundations, and retaining structures for conditions typical of BC Lower Mainland soil conditions. Both Working Stress and Limit States design approaches will be discussed and seismic design issues will be included. The course is delivered through lectures, case studies, and home assignments. Topics will include: Characteristic behaviour of soils; site characterization and assessment; site preparation including ground improvement; shallow and deep foundation design for ultimate and serviceability limit states; temporary and permanent retaining structures; soil-structure interaction; specification of foundation construction. This course covers the direct stiffness method of structural analysis which provides the basis for most commercial analysis packages. The purpose of the course is to familiarize the students with the underlying concepts of this method and its correct use in engineering practice. This should help the students to better understand the assumptions and limitations of commercial computer analysis programs. The direct stiffness analysis method will be introduced using the general engineering calculation worksheet program Mathcad. An introduction to Mathcad will be provided and followed up throughout the lecture material. Practical applications will be an emphasis of the course. The course will help the students understand that structural analysis programs are not just "black boxes" that are able to analyze all kinds of structural systems, but that they are useful and powerful tools that, when properly used, can give reliable results and provide confidence on the predicted structural behaviour. This material provides the foundation for the follow-up course C14 which extends the matrix formulation presented to cover multi degree of freedom structural dynamics. 1) The direct stiffness analysis method: concepts, advantages and limitations, global coordinates and stiffness matrix, geometric transformation; 2) Practical modeling of Structures: selection of Degrees of freedom, discretization of structural systems; local coordinates and member stiffness matrix (axial members, bending members, springs); 3) Structural Loads and Response: nodal loads solving for deflections; solving for member forces; member loads; thermal loads and prestrains. This course will examine several types of foundation and earth retaining structures. For each type of structure, theory and philosophies underlying the common design methodologies will be presented, along with practical design procedures. Soil – Structure Interaction; Shallow Foundations- Design, Code Provisions review, Rafts – Simplified Analysis and Computer Solution; Deep Foundation Design Principles ; Geotechnical Aspects of Foundation Design; Earth Retaining Structures; Slabs on Grade – Industrial Floors, Design Aspects; New Underground Structural Systems; Foundation Vibration. The course is intended to provide the students with the skills and knowledge required for effective design of timber buildings using the Canadian Wood Code O86-14 (Update 2). The course covers the key design concepts and procedures for wood design and illustrates the application through design examples and case studies of typical residential and commercial buildings. This course is delivered through lectures and home assignments. This course provides students with the practical skills and knowledge required for effective design of reinforced concrete building elements using the Canadian concrete code and to prepare them for carrying out assignments in a design office. A strong emphasis will be placed on practical thinking and simplifying design approach. Basic knowledge of mechanics of reinforced concrete is required. The course is intended to enhance the students’ knowledge by presenting issues, design requirements, design procedures, and actual examples on several selected topics commonly encountered in building designs. Emphasis will be on practical aspects of non-seismic design and detailing. Homework assignments will be given. Reference Texts: "CSA Standard A23.3 Design of Concrete Structures" and "Reinforced Concrete Design, a Practical Approach", (second edition) by Brzev and Pao. Specifications; reinforcing steel detailing; flexural design; beams and one-way slabs; deflections; slab bands; shear design; torsion design; building walls; tilt-up panels; columns; footings; shear friction reinforcement; anchorage and splices. This course is intended to provide students with the skills and knowledge required for effective design of steel buildings using Canadian Limit States Steel Standard CSA S16-14. The course is intended to promote better understanding of the design considerations of steel buildings. The course is appropriate as a code refresher or for recently graduated engineers as it will cover items that are not traditionally part of a steel design course including conceptual design of steel framing systems, steel decking, open web steel joists and HSS trusses, miscellaneous metal. Seismic sections of this course are now covered by the SEABC E12 (Seismic Design of steel structures) and this course will concentrate on the non-seismic portions of seismic design and additional non-seismic material will be added to replace the seismic sections now covered in E12. Where possible, current design practice will be demonstrated using worked problems including weekly home assignments. The course is fast paced and students should have taken a previous steel course. Possession of the CISC Handbook of Steel Construction 11th edition (2014 edition) is required. Also required is a copy of Structural Steel for Canadian Buildings: A Designer’s Guide (3rd Edition), which will be available to the classroom students on the first day of class and will be mailed to webcast students. The cost for this book, ($75), is added to the tuition. The class is limited to 50 students including those attending by internet – register early as registration will be cut off when the class is full. Advantages and disadvantages of structural steel, material grades and section availability, basic beam design, steel deck design for vertical loading, roof deck, composite floor deck, design of roof beams for wind uplift, ponding, snow drifting, conceptual design of steel framing systems, framing for openings in floors and roofs, framing for plan irregularities, beam holes, stability issues, cantilever beam stability, Gerber framing system, open web steel joists, hollow structural section trusses and frames, HSS connections, composite beams, vibration analysis, columns, column base-plates, beam-columns, connection design for the design engineer, shop drawing review, miscellaneous metal. his course provides an introduction into classical structural dynamics. The course covers the theory which forms the basis of many commercial dynamic analysis packages. The purpose of the course is to familiarize the students with the underlying concepts and assumptions inherent in dynamic analysis. This should help the students to better understand the assumptions and limitations of commercial computer analysis programs. The structural dynamics concepts will be introduced using the general engineering calculation worksheet program Mathcad. An introduction to Mathcad will be provided and followed up throughout the lecture material. Mathcad will be used to carry out sensitivity studies on the answers derived from the application of the theory. Understanding these sensitivities should allow the participants to understand the implications of picking the parameters for their dynamic analysis so that they can provide more reliable results and understand the limitations of the predicted structural response. The material is provided in a similar format to C9, E16 and E17. While prior completion of the C9 and/or E17 course is beneficial, it is not mandatory. This course covers both single degree and multi degree of freedom structural dynamics. It will also introduce the following: damped and undamped free vibration systems, systems subject to harmonic and arbitrary forcing functions, and response spectrum and frequency domain based solutions. The follow-up course C14-2 will then cover the important aspects of the various linear seismic analysis methods based on the material presented in this course. An introduction to This course expands on the theory and practical examples presented in C9 and C14-1. It will provide further insight into classical dynamic analysis methods and their limitations. Both time and frequency domain formulations will be explored. Students will develop their own Mathcad based formulations which can easily be ported. The structural dynamics concepts will be introduced using the general engineering calculation worksheet program, Mathcad. An introduction to Mathcad will be provided and followed up throughout the lecture material. This course focuses on the general highway bridge design loadings and bridge load rating in the Canadian Highway Bridge Design Code. The course will provide the students with an understanding of basic loads, an introduction to complicated loads, the development of load factors and load combinations for design and the background/basis for bridge load rating and why it differs from new design. The students will come away with a basis for the appropriate application of loads, load factors and combinations for the design of highway bridges. Specific emphasis will directed at highway bridge design loads and load rating per Chapters 3 and 14 of CSA-S6-14. Ultimate Limit States, Service Limit States, Fatigue Limit States, load combinations, load factors, permanent loads, transitory loads, exceptional loads, truck and lane loading, dynamic load allowance, barrier loads, superimposed deformations, temperature, wind loading, water loads, ice loads, vessel collision, construction loads, evaluation and rehabilitation loading. his course focusses on bridge analysis for different types of loadings. The course will provide the students with different bridge analysis tools starting from the basic to the more advanced. The students will come away with practical insights into the level of complexity of analysis required for different tasks. Emphasis will be laid on live load analysis per chapter 5 of CSA-S6-06 as well as stability analysis. Needs and goals for structural analysis, Influence lines, Simplified hand checks for simple beam type bridges, Modelling in different phases and for specific effects, Camber calculations and construction load analysis, Live load effects on statically determinate and indeterminate systems, Simplified code distribution for live loads, fatigue and vibration analysis, Grillage and finite element analysis for live loading, Stability of struts and beams, Stability of assemblies and finite element analysis, Lateral load analysis, Substructure analysis. NOTE: As structural analysis software will be used for this course, SAP will be provided without cost for the duration of the class for those who do not currently have access to such software. This course focuses on bridge conceptual design in a problem-based learning environment; the ability to analyze bridge forms is assumed. The course will provide the students with insight into the development of solutions to highway bridge problems. Emphasis will be placed on exploring the considerations that influence bridge configurations. The students will come away with basic ability to create bridge concepts and improved confidence in tackling routine highway bridge design tasks. Commonly-used bridge types, basic bridge economics. Code requirements, functional and operational requirements, influence of hydraulics and materials. Influence of seismic response, seismic systems, integrity and vulnerabilities. Creating a highway bridge layout. Erection engineering and influence on design. Design-build project bridge case history. Interactive problem-solving workshops. Pre-requisite: Some basic familiarity with structural concepts. This course focuses on seismic bridge analysis requirements for satisfying the various requirements set forth in the new Canadian Highway Bridge Design Code, CSA-S6-14. The course will provide the students with different seismic bridge analysis tools starting from the basic to the more advanced. The students will come away with practical insights into the level of complexity of seismic analysis required for different tasks. Emphasis will be laid on the type of analysis for satisfying the force-based and performance-based requirements of CSA-S6-14 along with result interpretation and pitfall avoidance. Frame work and basic concepts for force-based and performance-based analysis and design; general code overview of analysis requirements; single mode and multi-mode methods; equivalent cracked-section properties; modal and directional combinations; incorporating soil-structure interaction for various analysis types; moment-curvature analysis; inelastic static pushover analysis (using stepwise linear approach and non-linear analysis software); interpretation and pitfalls of pushover analysis; pushover analysis application for explicit performance demonstration and capacity design; time history analysis: basics such as damping, hysteresis and backbone curves; interpretation of non-linear time history results; basics of liquefaction and lateral spread analysis (employing response spectrum and non-linear static analyses); force effects for foundation design; introduction to base-isolation analysis requirements; assessment and retrofit analysis requirements and techniques. NOTE: As structural analysis software will be used for this course, SAP will be provided without cost for the duration of the class for those who do not currently have access to such software. This course is intended to provide the practicing engineers with the skills and knowledge required for effective design of masonry buildings according to the recently updated Canadian Masonry Standard CSA S304-14. The main focus is on design concepts and practical field applications of Canadian masonry construction. The course curriculum has been revised with an increased emphasis on seismic design issues, including an overview of the National Building Code of Canada and CSA S304 seismic provisions for masonry structures. The publication Seismic Design Guide for Masonry Buildings will be used as the main resource for seismic design portion of the course. Students will be exposed to practical aspects of masonry construction through real engineering projects. The course is delivered through lectures, design assignments, case studies, and the final exam. The course resources Masonry Design for Engineers and Architects, the Masonry Institute of BC Technical Manual (an online publication), and the Seismic Design Guide (an online publication), are complimentary. Masonry materials and components; basic design considerations for masonry structures per CSA-S304; design of masonry beams; design of masonry walls for axial load and bending, including slenderness effects; an overview of the proposed NBCC 2015 seismic design provisions; seismic design and detailing of masonry shear walls; modelling and structural analysis of masonry buildings for gravity and lateral loads; design of veneer walls; construction, building science, and sustainability issues; masonry specifications and design notes. This course will teach the fundamentals of the seismic design of reinforced concrete structures. It will review the code provisions in the 2005 National Building Code of Canada and Chapter 21 of the CSA A 23.3. The program will emphasize practical aspects of design through a series of assignments of an actual building. An understanding of the design of concrete structures for gravity loads is essential. Inelastic behaviour of concrete and reinforcing steel, design of wall elements, building layouts and irregularities, selected topics in high rise design, introduction to non-linear static analysis applicable to concrete structures, selected topics on seismic retrofit. As a design course the objective is to transfer design and detailing philosophy for the design of the concrete seismic load resisting system. It will spend essentially no time on how to determine the seismic forces on the building or distribute those forces to the wall but will continue where the analysis finishes. The course will not cover the seismic background as this is covered in other SEABC courses. Hand calculations will be used for determining the reinforcing steel requirements for the concrete sections. The detailing requirements in A23.3 will be followed closely – the aim of this course is to have students be able to detail concrete structures in a way that meets Code requirements and produces a system that will be behave well under seismic loading. Very little time will spent during the course on theoretical or laboratory studies. Capacity design principles, hierarchy of failure, RdRo values for concrete systems, ductility, moment capacity of walls, shear capacity of walls, effect of Rd values on wall system design, couple wall systems, footing design for shear walls, moment frames, concrete diaphragms, conventional construction and detailing requirements of the gravity frame systems. Design philosophy of seismic retrofit; Evaluation and assessment of existing structures; Strength testing of materials; Discussion of pros and cons of commonly used retrofit schemes; Decision process for selecting retrofit scheme; Implementation of proposed seismic retrofit system; Practical considerations and rule-of-thumb guidelines. Discussion of NBC, NRC, ASCE, FEMA guidelines, and current BC Ministry of Education guidelines for schools; review of case studies by local consultants; evaluation of common existing buildings and material types found in B.C. including institutional, commercial, and historical; performance-based analysis and design including push-over analysis, response spectra, and time history analysis; traditional upgrades involving concrete, steel, masonry, and timber, and “non-traditional” retrofit schemes such as fibre-reinforced polymers (FRP) wrap, dampers, and isolation. The Design of Tilt-up Concrete Buildings course is aimed at younger design engineers and engineers desiring to learn about the design principles and construction aspects of this method of construction. The course will briefly review the history of tilt-up construction as well as various design aids leading up to the present CSA provisions. The program will then focus on the design requirements and present several examples covering a range of conditions frequently encountered in this type of building. A field trip to observe some real construction is also planned towards the end of the course. History of tilt-up panels in North America; review of design procedures; CSA A 23.3 - Clause 23; design and analysis of panels; construction aspects (panels layout, cranage, slab design); connections; architectural aspects of panels; computer modeling; and example calculations. This elective course is intended to provide a refresher of basic analysis/strength of materials concepts with applications in the design office. Starting from basics, the topics covered will also have direct applicability to other Certificate courses. Emphasis is placed on hand calculations rather than the use of computer programs, in order to allow for conceptual understanding and implementation in spreadsheet or electronicworksheet applications. Statics - freebody diagrams, shear and bending moment diagrams, relationship between shear and bending moment, moving loads; Cross-sectional Properties – moment of inertia, transformed moment of inertia, polar moment of inertia; Elastic Stresses in Beams – flexural stresses in beams with different materials, shear stresses and shear flow, shear centre, torsional stresses; Deformations of Structures – curvature and bending moment, the moment-area method, deformations of frames and trusses using energy methods, settlements; Moment Distribution – distribution factors, non-prismatic members, flexible and yielding supports, frames with and without side sway; Diaphragm and Shear Wall Rigidity Analysis – approximate shear wall rigidity analysis, flexible versus rigid diaphragm assumptions, rigid diaphragm analysis; Case Studies and Applications. This elective course will provide structural engineers with a detailed understanding of the Part 4 (Structural Design) provisions of the 2010 and the 2015 National Building Code. Students will learn both Code requirements as well as background information required to implement them. Some prior knowledge of Part 4 requirements is recommended and access to the Code provisions is required. Access to the most recently available Supplement to the National Building Code is recommended. elected Topics: Introduction: Introduction – applicability, organization, climatic data; Limit States Design – theory, limit states, principal and companion load combinations; Live Loads Due to Occupancy; Snow and Rain Loading – Code factors, drifts and accumulations for different roof configurations, special cases, ponding; Wind Loading – theoretical behavior, climate values, exposure factors, dynamic and gust effects, internal and external pressure coefficients; Seismic Loads – seismicity, minimum design forces, base shear factors, analysis methods; Vibrations and Impact Loading; Foundations and Excavations – temporary excavations, shallow foundations, deep foundations, case studies. This course provides students with the practical skills and knowledge for effective design of structural steel seismic force resisting systems for buildings using the National Building Code of Canada. Emphasis will be on the practical design, detailing and production of quality design documents. Basic knowledge of structural steel design is required. This course was developed in response to the need for practicing structural engineers to have a solid understanding of fundamental seismic design and detailing in steel that will meet or exceed the requirements of CSA S16 clause 27. Reference text: "CISC Handbook for Steel Construction", 10th edition. Although not prerequisite to this course, students are encouraged to have taken the course "C13 - Structural Steel Design". Emphasis on this course is the design of ductile structural steel seismic systems using Code provisions. Capacity design principles. Concentrically braced frames (tension-compression, chevron and tension-only). Buckling restrained and eccentrically braced frames. Moment resisting frames. Conventional construction and limitations. Diaphragms, chords and collectors. Advanced topics and current research. Limited coverage of foundation design. NBCC 2015 provisions for base shear in low and high seismic regions. Seismic design for industrial structures using Annex M of S16-14. This course provides an overview on the application of computer software tools in Structural Engineering. The course is a combination of lectures and hands-on lab sessions. Commonly used computer programs in Structural Engineering, such as Mathcad, ETABS, SAP2000 and S-FRAME, will be used during the course to demonstrate the implementation of concepts/applications discussed during the lectures. Participants will learn the capabilities of the latest computer software for Structural Engineering analysis. Various structural analysis techniques for seismic analysis such as, response spectra, linear time-history and an introduction to nonlinear analyses will be discussed. Throughout the course, simple example problems will allow the students to implement the concepts discussed during the lectures. Topics covered include modeling capabilities and limitations, building/modifying models, viewing and evaluating results. Time will be available during the lab sessions to discuss specific engineering problems that the participants may want to model with one of the software packages. Participants will be required to solve homework assignments using any of structural analysis computer programs. Participants that complete all the assignments in a satisfactory manner will receive a passing mark for this course. Students are expected to have access to structural analysis software capable of performing dynamic analyses or use the UBC lab facility for their assignments. This course is intended to provide the participants with knowledge and understanding of prestressed and post-tensioned design and construction. The course will focus on practical aspects of designing elements and structures using prestressed and post-tensioned construction. In situ cast in place and off-site pre-cast construction will be covered. Relevant codes and other industry documents will be reviewed. The course will also discuss seismic aspects of precast and post-tensioned construction. Example problems will be used to illustrate the design theory. Reference textbooks Prestressed Concrete Basics, Collins & Mitchell and the Metric Design Manual, CPCI (new edition). Principles of prestressed concrete, design of prestressed concrete elements, precast concrete products; design and manufacturing, principles of post-tensioned concrete design, p/t design of elements and floors, bonded and unbonded p/t construction, p/t construction specifications, seismic aspects of prestressed and post-tensioned concrete. Construction field trips are also planned during the course. The emphasis of this course will be on practical aspects related to the use of dynamic analysis and nonlinear response of seismic force resisting elements for evaluating the seismic performance of structures. It will provide an overview on the effective use and implementation of modern tools of dynamic analysis of new and existing buildings. The course was developed in response to the need for structural engineers to better understand how to use dynamic analysis and nonlinear response for the design of buildings that will require this type of analysis in accordance with the NBCC 2010. It will be a combination of lectures and hands-on exercises to be carried out with modern computer programs commonly used in engineering practice. Approach Participants in this course will receive a set of class notes and a copy of a computer program that will be used to solve the assigned homework problems. Each lecture in the course will include, in general, a review of the basic concept being discussed, a discussion of the practical implementation of the concept and illustrative examples, and a homework assignment that will allow them to implement and gain some experience related to the material discussed in class. And at the end of the course a term project, which will encompass all the topics discussed during the course, will be assigned to the students. The topics to be covered during the course are: 1) Review of basic concepts of structural dynamics; 2) Response spectrum and ductility concepts; 3) Basics of response history analysis; 4) 2D and 3D dynamic analysis of buildings including building irregularities; 5) Introduction to the inelastic response of buildings (moment frame, shear wall and braced frame systems); 6) Analysis of base-isolated structures; 7) Analysis of buildings with energy dissipation devices; 8) Analysis of buildings with viscous and friction dampers. This elective course introduces students to the design of long span, cable supported bridges. There are no prerequisites for the course, however, students are expected to be familiar with and have an elementary understanding of finite element analysis. This course focuses on the two cardinal cable forms used in bridge engineering: stay cables and suspension cables. After a review of the different types of cables commonly employed in cable bridges today and their mechanical properties, the course will explore the geometric form and deformation characteristics of stay and suspension cables. Students will learn how to correctly calculate and model the geometry of cables, and the approximate equations that can be used to simplify their design. In addition, students will learn the different behavioural traits that make cables unique from other structural members and the parameters that affect those traits. This fundamental knowledge will then be applied to examine and study the conceptual design of cable-stayed and suspension bridges. Dynamic loading (EQ, Wind, Traffic or Blast) of infrastructure is increasingly being represented by recorded time histories. This course provides the fundamental knowledge required of anyone interpreting discrete test data, conducting time history analysis or interpreting its results. he concepts involved in the sampling of continuous phenomena to obtain discrete time series will be presented mainly in the context of strong motion data. Participants will be provided with the theory and worked examples that allow them to implement their own time history manipulation routines and to compute elastic response spectra using Mathcad. Please note: this is not a course in time history analysis of structures; rather, it is a course in the manipulation and analysis of time histories themselves. The course will cover the necessary concepts of sampling theory and data acquisition. There will be a brief overview of instrumentation. The basic concepts of scaling, integrating and differentiating time histories will be explored. Then several approaches to baseline correction of accelerograms will be presented and discussed. Common pitfalls of data interpolation will be demonstrated along with proper techniques. After a short review of single degree of freedom dynamics, transfer functions will be discussed. The course will also cover the efficient computation of response spectra based on the Nigam Jennings algorithm. The derivation and definition of other earthquake quantities such a Arias Intensity (AI), Incremental Velocity (IV) and Incremental Displacement (ID), as well as Cumulative Absolute Velocity and Displacement will be presented. Techniques for linear scaling and rotation of horizontal spectral pairs to best fit target spectra will be fully explored and demonstrated. Techniques for the generation of floor design spectra will be demonstrated. This course presents an introduction to the structural design aspects of heavy timber construction to engineers who seek the basic skills and knowledge required for the design with heavy timber as a building material. Topics include products, connections, design resources and applications. This course is delivered through lectures, home study, site visit and exam. There are no pre-requisite courses required from the Certificate in Structural Engineering Program, but students should have a background in mechanics of materials, structural analysis and lateral loading. A Mathcad license is recommended, but is not mandatory to complete this course successfully. Product introduction (mechanics of materials, wood mechanics, building systems, mass timber panels, post-and-beam systems, gravity design), connections (fastener behaviours and calculations, bearing behavior and calculations, placement/nominal connections, practical problems with traditional connectors, long-fully threaded screws and their applications, CLT shear wall & diaphragms, obscure connectors), lateral force resisting systems (system overview, deign), design resources (drawings, bibliography, computer aids, supplier specifier guides), applications (small building design), case study (design examples), laboratory testing (site visit). This course covers detailed information from the conception to the final design of a Reinforced Concrete Shear Wall building using a performance-based seismic design (PBSD) approach. One example building case will be used throughout the entire course to illustrate the value and complexities of using PBSD. In addition, this course will include experiences in the application of PBSD on several buildings projects in the West Coast of US and Canada. Students will be granted a limited duration license for the use of Etabs software for the course. nd key aspects of the basis for the approach. We continue with an overview of the latest PBSD guidelines currently used. Then we will cover a brief review of current code requirements and how they differ from the PBSD approach. The design of a building will commence with the proper selection of earthquake records and how they can be adapted for a PBSD project. A Service-level performance check will be performed at an early stage along with requirements and analysis for wind loads. Main part of this course will be then devoted to the structural performance of the building under a Maximum Credible Earthquake, MCEr (as per ASCE 7-10 requirements). Main topics to be covered here will be: modeling of both linear and nonlinear components, processing of input and output information, design aspects that could potentially be improved during the analysis, and detailing aspects that differ from a code-based seismic design. ings, bibliography, computer aids, supplier specifier guides), applications (small building design), case study (design examples), laboratory testing (site visit). This course discusses the fundamentals of marine structural engineering and the unique aspects of construction in marine environment. The intent is to help participants apply their structural engineering knowledge to the analysis and design of marine structures. 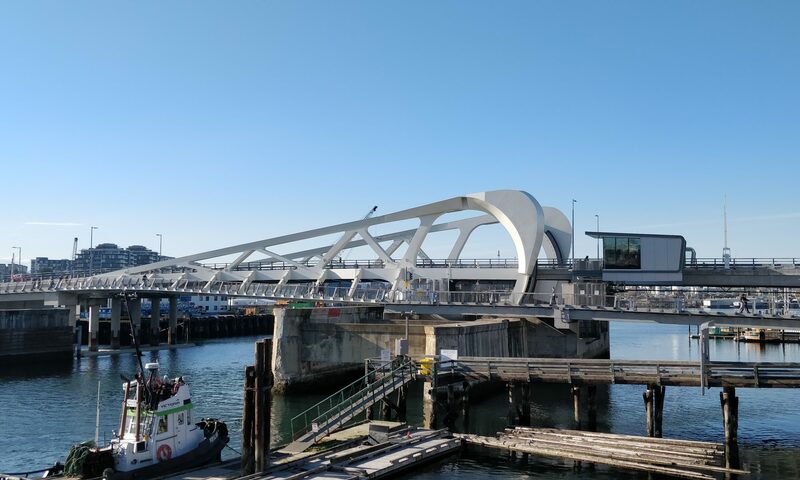 Participants will also learn about the multidisciplinary aspects of marine structural engineering to help them interact with other professionals and stakeholders involved in marine infrastructure projects. Introduction to ports, harbours and waterfront infrastructure; Function, type and configuration of marine structures; Multidisciplinary aspects of marine structural engineering; Marine environment (wind, wave, current, tide); Vessel types and characteristics; Functional and operational criteria for marine terminals; Conceptual design considerations; Design loads for marine structures; Ship berthing and design of fenders; Ship mooring and design of mooring systems; Wave and current loads; Seismic loads; Limit state design of marine structures, selection of design codes and avoidance of pitfalls; Introduction to performance-based seismic design of marine structures; Construction in marine environment; Selection and durability of construction materials in marine environment; Overview of configuration, analysis and design of fixed-base structures, gravity-base structures and floating structures; Overview of condition assessment, maintenance, rehabilitation and upgrade of marine structures. This course covers basic principles of seismic structural health monitoring and provides the students with additional knowledge about the different vibration measurement techniques; instrumentation type and location selection for real life structures; structural condition evaluation; and damage detection for civil engineering structures. Simple demonstrations and experiments will be conducted during class hours in the classroom. Review of Structural Dynamics; Damping Calculation Methods; Data Acquisition Systems and Measurement Instruments (e.g., Data Recorders, acceleration sensors, A/D converters, etc. ); Fast Fourier Transform (e.g., Power Spectral Density Spectrum); Basic Data Analysis methods (e.g., Sampling, Baseline Correction, Decimation; Aliasing, convolution and correlation of signals, etc. ); Designing Digital filters (e.g., Low-pass, High-pass, band-pass filters); structural properties extraction from vibration data (e.g., Modal frequency, damping ratio, and mode shapes); Finite Element Model Calibration/Updating; Structural Condition Evaluation; Damage Detection methods (e.g., natural frequency based, permanent displacement based, and wave propagation based methods); sensing needs in structures and various types of sensors; smart materials, smart concrete and its use as a sensor; beyond strain an vibration such as moisture monitoring, chemical environment, cracking, leakage, radioactivity and bio-degradation. For each topic to be discussed, the theory behind the concept will be introduced and explained first, and then several illustrative practically-oriented examples will be presented and discussed.